Nintendo reveal their lineup of games playable at Gamescom 2018, the list includes Super Smash Bros. Ultimate, Super Mario Party and the long awaited Dark Souls Remastered Switch version. Nintendo announced on their website the list of games Gamescom attendees will get to play this year. Gamescom 2018 will take place from Tuesday 21st August until Saturday 25th August 2018. Super Mario Party is exclusively coming to Nintendo Switch on 5th October, attendees will get a first hand look at the interactive game which allows multiple Switches to be joined together for an ultimate board game inspired experience. Attendees will also get a first-hand look at Dark Souls Remastered on the Nintendo Switch which was set to release with the PC and console versions earlier this year but was delayed for later this year 2018. 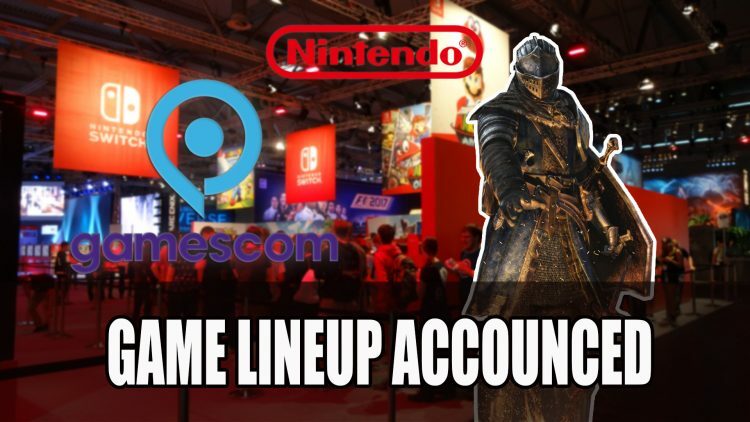 If you enjoyed this article be sure to check other lineups for this year’s Gamescom 2018 including THQ Nordic and Bandai Namco. If you want to know what we thought of Dark Souls Remastered you can check out our review. No Metroid Prime 4. When they showed the "trailer" at E3 2017 they said it was coming out in 2018. I suppose it’s safe to say that won’t be happening.